Within the history of Christianity, Saints Constantine and Helen are inseparable figures; Constantine being the man whom brought Christianity to the Roman Empire, and Saint Helen, whom claimed to have discovered the True Cross. 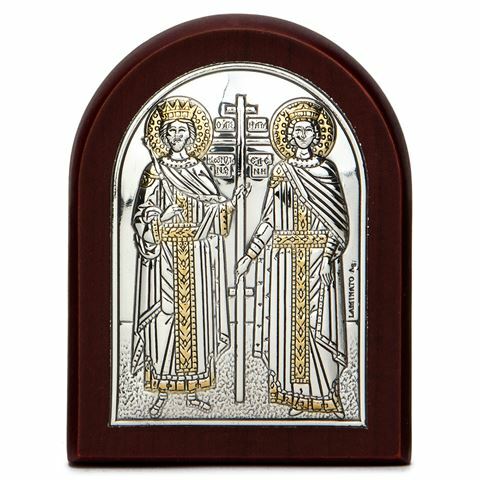 Silver plated icon with gold-plated detailing. Icon is set into a mahogany-look wooden frame with a stand.